The Center of intelligence associated with the Heart is that which recognizes and falls in love with the true nature of all things. 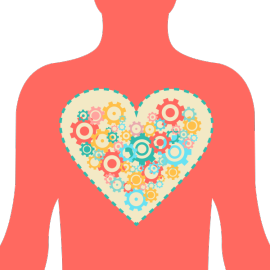 Russ Hudson calls the Heart “the organ of knowing.” We think that knowing and the recognition of truth happen in the Head, but much like our emotions really originating in the Belly, this view is a misappropriation of the roles of both the Heart and the Head. 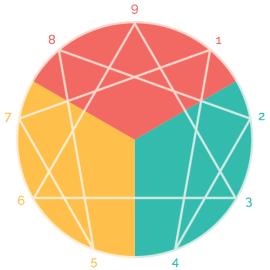 The nine personality types on the Enneagram can be divided into three groups of three, each Triad relating to a Center of intelligence. In the Riso-Hudson teaching—as influenced by the work of G. I. Gurdjieff and Oscar Ichazo—the Centers are the Belly, the Heart and the Head. Gurdjieff theorized that man, unless realized, is a “machine” in which these Centers are not functioning properly. 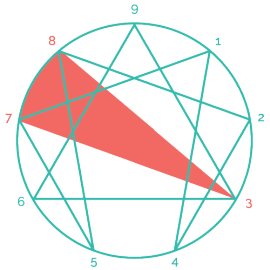 Riso and Hudson further theorize that each of the personality types on the Enneagram is a result of a specific state of imbalance in one of the three Centers. Copyright © 2019 EnneagramOKC. All rights reserved.